View cart “fig licorice bubble bath” has been added to your cart. Pure New Zealand sea salt harvested from the pristine New Zealand coastline, rich in natural minerals, infused with an energising blend of slightly sweet, floral orange blossom marked by the spicy aroma of ginseng. Pure New Zealand sea salt rich in natural minerals perfect for a luxurious bath. These bath salts are delightfully scented with an energising blend of floral orange blossom and spicy ginseng. Sprinkle a handful under flowing water and swirl to dissolve into your bath before immersing yourself in aromatic bliss. 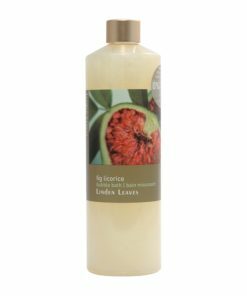 A wonderful aroma which leaves your skin, and the bathroom, smelling fabulous long after your bath. The salt combination leaves your skin feeling clean, soft and moisturised. It also makes a lovely gift.